Can anyone tell me about Malcolm X? I saw Malcolm X book in the longest yard movie...so, I became interested to know about Malcolm X. I need a full feedback about this a.s.a.p. Malcolm X, 1925–65, African American (revolutionary black nationalist) leader in the United States, also known as El-Hajj Malik El-Shabazz, b. Malcolm Little in Omaha, Neb. He was introduced to the Nation of Islam (Black Muslims) while serving a prison term and became a Muslim minister upon his release in 1952. He rose to become the national spokesman of the Nation and quickly became very prominent in the movement, with a following perhaps equaling or greater than that of its leader, Elijah Muhammad. In 1963, Malcolm X was suspended by Elijah after a speech in which Malcolm suggested that President Kennedy's assassination was a matter of the “chickens coming home to roost.” He then formed a rival organization of his own, the Muslim Mosque, Inc. In 1964, after a pilgrimage to Mecca, he announced his conversion to orthodox Islam and his new belief that there could be brotherhood between black and white. In his Organization of Afro-American Unity, formed after his return, the tone was still that of militant (revolutionary) black nationalism but no longer of separation. 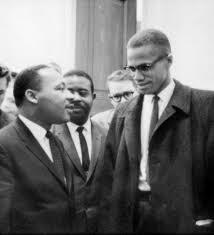 Between 1963 and 1965, Malcolm developed a close relationship Maxwell Stanford, the national field chairman of the Revolutionary Action Movement (RAM), a clandestine organization. According to papers published by Stanford and others, Malcolm agreed to serve as international spokesman of RAM. He kept it a secret because RAM international Chairman was Robert F. Williams who at the time was a fugitive in exile from the US and living in China and Cuba. In Feb., 1965, Malcolm X was shot and killed in a public auditorium in New York City. His assassins were vaguely identified as Black Muslims, but this is a matter of controversy. Malcolm believed the threat to his life was much larger than the Nation of Islam. He noted that he had been under US Government surveillance while traveling in Africa and that some of the things happening to him were beyond the capabilities of the Nation of Islam. Evidence would later surface during the investigation of the FBI's counter intelligence program COINTELPRO showing that police/government agents had infiltrated Malcolm's organizations to the highest levels and were present at the Audubon Ballroom in Harlem, NY, when he was assassinated. Malcolm X was also know by many other names, including: Detroit Red, Red, Malcolm Little, El Hajj Malik El Shabazz, Malcolm, and Omawale. What were Malcolm X's views? Malcolm X's expressed beliefs changed substantially over time. He was constantly evolving. As a spokesman for the Nation of Islam, he traveled throughout the US, putting him in contact with all of the emerging trends within the civil rights/black freedom movement. In the early years, he taught the philosophy of the Nation of Islam at the time and advocated separation of black and white Americans—in contrast to the civil rights movement's emphasis on integration. After breaking with the Nation of Islam in 1964—saying of his association with it, "I was a zombie then ... Pointed in a certain direction and told to march"—and becoming a Sunni Muslim, he disavowed racism and expressed willingness to work with civil rights leaders, though still emphasizing black self-determination and self defense. Malcolm X was equally critical of the civil rights movement. He described some of its leaders as "stooges" for the white establishment. He criticized the 1963 March on Washington, which he called "the farce on Washington". However, by the time of his assassination, he had grown even more in his views and was focused on transforming the civil rights movement into a Black revolution. 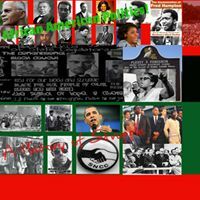 The activists who would later in the 1960s give birth to the Black Power movement were heavily influenced by Malcolm X and his philosophy of revolutionary black nationalism and self determination. Biography.com profiles Malcolm X, African American leader and prominent figure in the Nation of Islam, who articulated concepts of black pride in the 1960s. BLACK POWER scientific socialism and HUEY P NEWTON.